789 Neil Berkeley, director, "Gilbert: A Gilbert Gottfried Story"
Mr. Media is recorded live before a studio audience full of stand-up comedians that love Gilbert Gottfried and don’t understand why you don’t, too … in the NEW new media capital of the world… St. Petersburg, Florida! 788 Ethan Siegel, astrophysicist, author, "Star Trek: Treknology - The Science of Star Trek from Tricorders to Warp Drive"
Watch this exclusive Mr. Media interview with Ethan Siegel by clicking on the video player above! 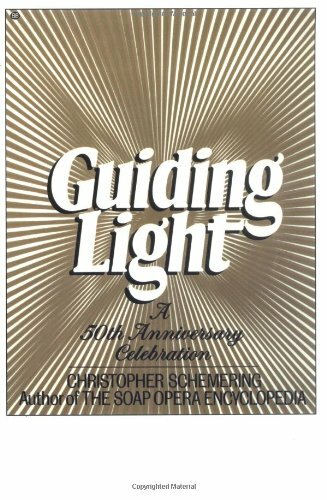 787 Kim Zimmer, Robert Newman, soap opera co-stars, "Guiding Light"
Today's Guest: Kim Zimmer, Robert Newman, soap opera co-stars, "Guiding Light"
] Order 'Guiding Light: A 50th Anniversary Celebration' by Christopher Schemering, svailable from Amazon.com by clicking on the book cover above! 786 Kim Zimmer, soap opera actress, "Guiding Light"
Today's Guest: Kim Zimmer, soap opera actress, "Guiding Light"
785 Jamie Beckman, author, "The Frisky 30-Day Breakup Guide"